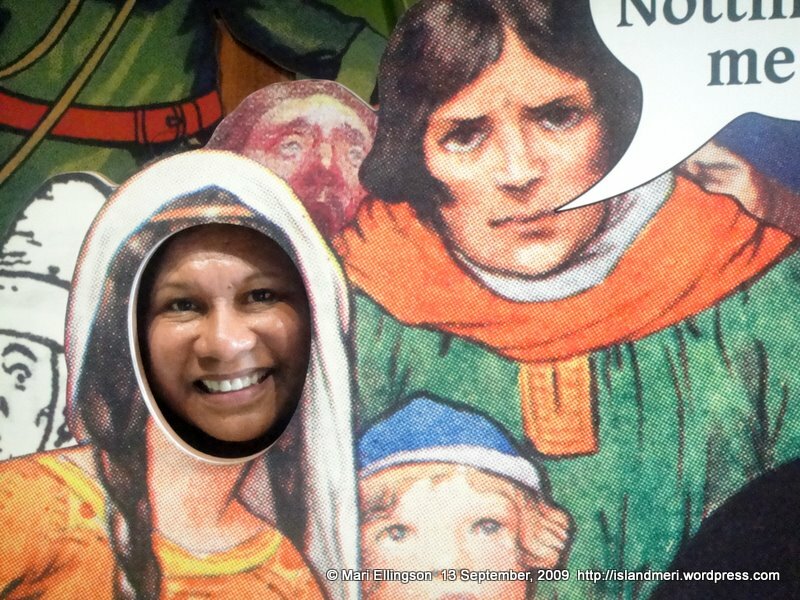 When I planned to visit the Robin Hood museum in Nottingham, I had no idea that there was something else also of historic importance that attracts about 270,000 visitors annually. After the disappointment of finding that the Robin Hood museum had closed it doors for business, I decided that a mug of hot chocolate would cheer me up. Fine, there were many cafes open with lots of patrons that Sunday afternoon so finding a cafe wasn’t going to be a problem at all. Anyway, as I walked down from the parking lot I looked across the road and there was the most impressive-looking gate I’ve ever seen. 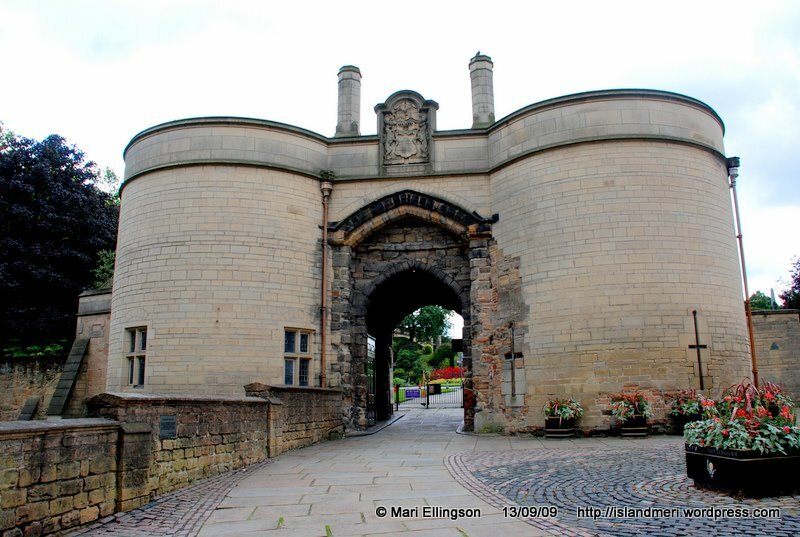 Yes, it was an impressive gate because it was the entrance to Nottingham Castle! A Grade I listed building – now that is something in England, as far as historic buildings go. Any thoughts of a mug of hot chocolate were immediately banished from my mind as I set off excitedly for the Castle. Walking up towards the entrance to the Castle. It seems that there is a castle in every place I go to in the UK. Each castle has an interesting colourful story. I enjoy history and architecture so exploring castles is a great pleasure. 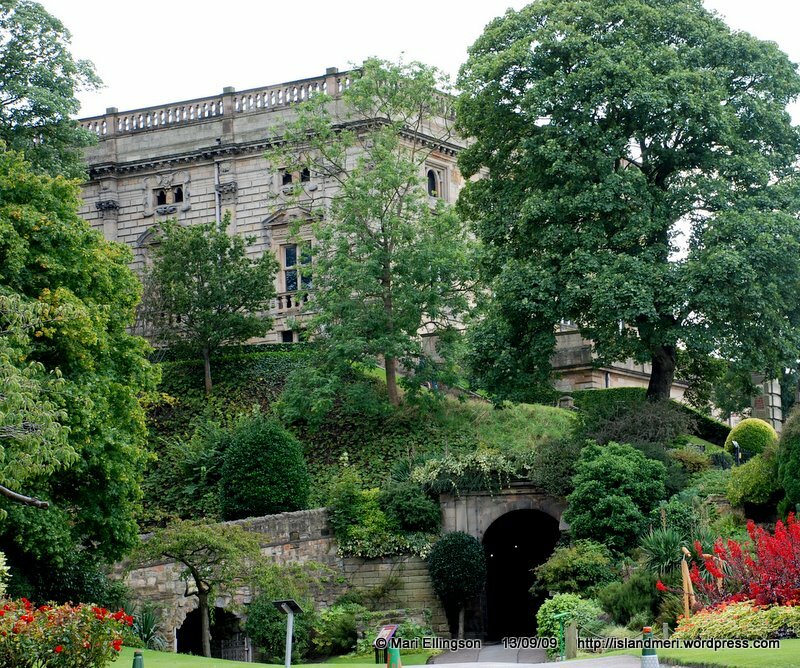 On this Sunday afternoon, the weather was just right for walking around a massive building like the Nottingham Castle – not hot and not too cold. I spent a couple of hours exploring the Castle, its history etc. with a spot of hot tea in between. “1067 – William the Conqueror builds the first Castle on the site, a wooden structure built upon the vantage point of the Castle rock. 1170 – The Castle is rebuilt in stone by Henry II. 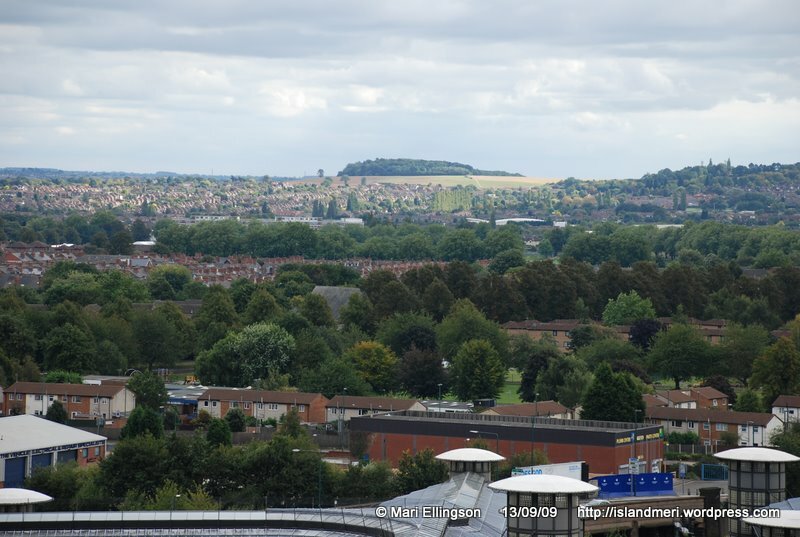 It is now the principal royal fortress in the Midlands. 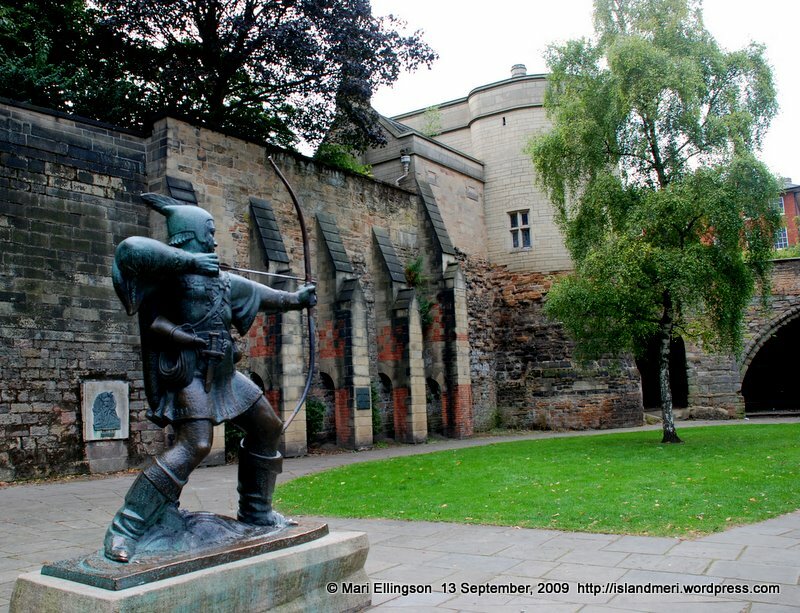 1194 – Richard The Lionheart reclaims Nottingham Castle from his brother John using siege tactics. This is the only time in the Castle’s history that an occupier is defeated in such a way. 1330 – Roger Mortimer, lover of Queen Isabella, is captured by supporters of her son, King Edward III who enter the castle through a tunnel cut through the rock. The cave is known as Mortimer’s Hole to this day and is a favourite spot with visitors. 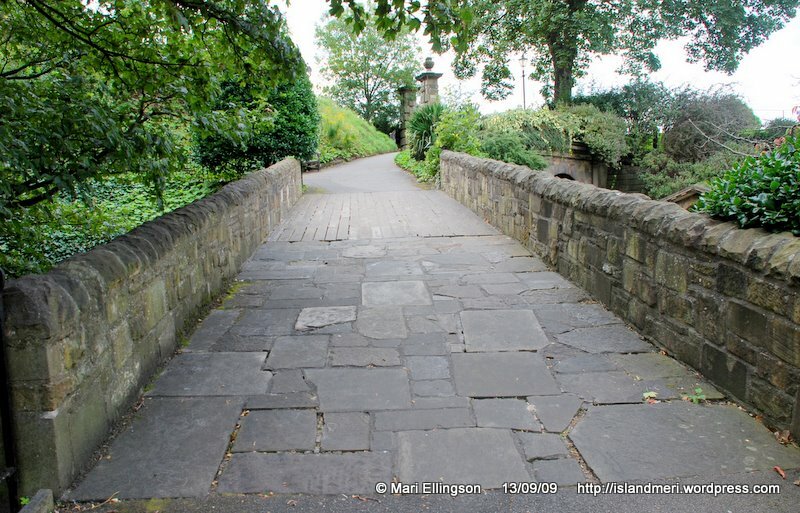 1485 – Richard III leaves Nottingham Castle to ride to Bosworth where he dies in battle at the hands of Henry Tudor who claims the throne, becoming Henry VII. 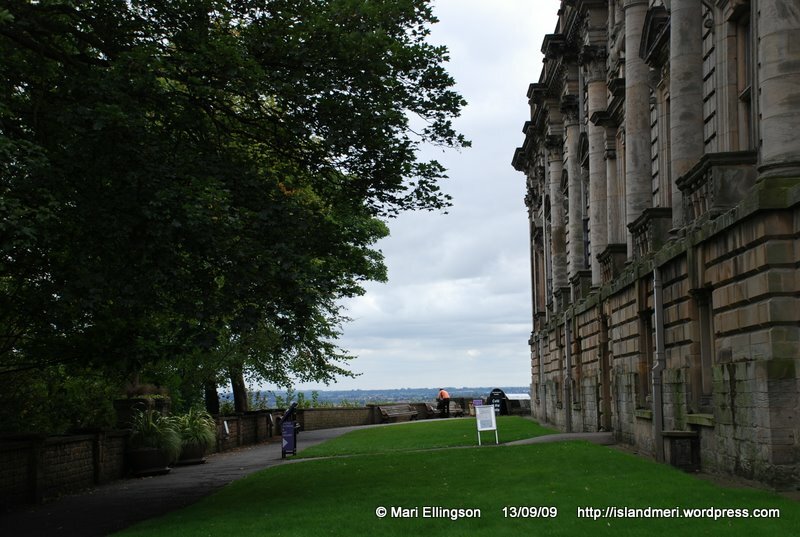 1622 – James I sells Nottingham Castle to the Earl of Rutland. 1642 – Charles I raises his standard outside the castle walls, here beginning the Civil War. Ironically for most of the war the site is held by the opposing parliamentary forces under the command of Colonel Hutchinson. 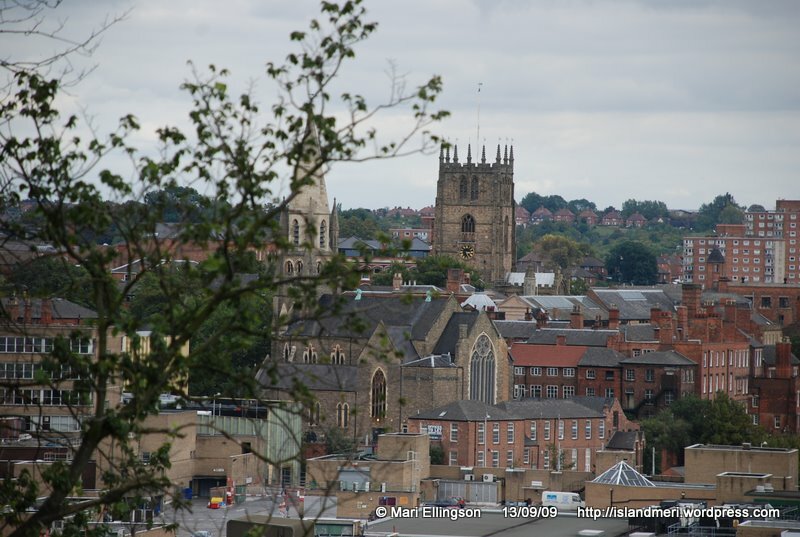 1651 – Permission is given for Hutchinson to demolish Nottingham Castle. 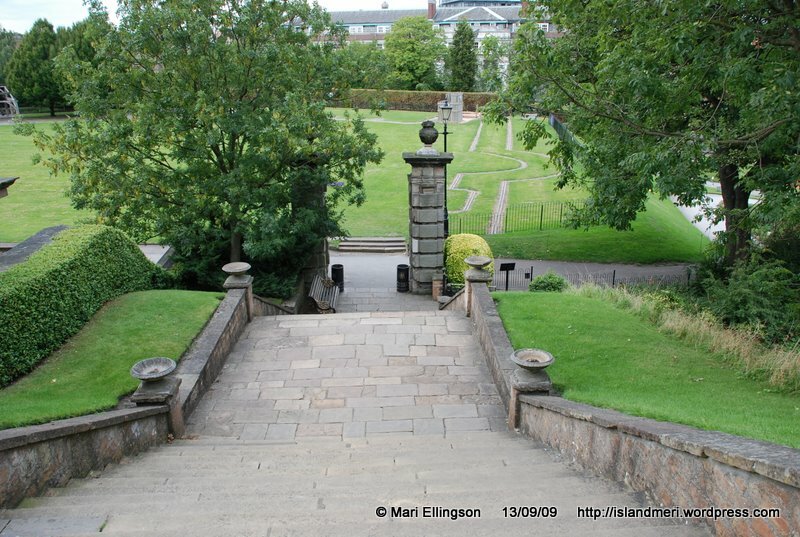 1663 – William Cavendish, First Duke of Newcastle ,purchases the site. He begins work on a prospect house high on Castle Rock but dies before its completion. His son completes the work on this unique building in 1678. 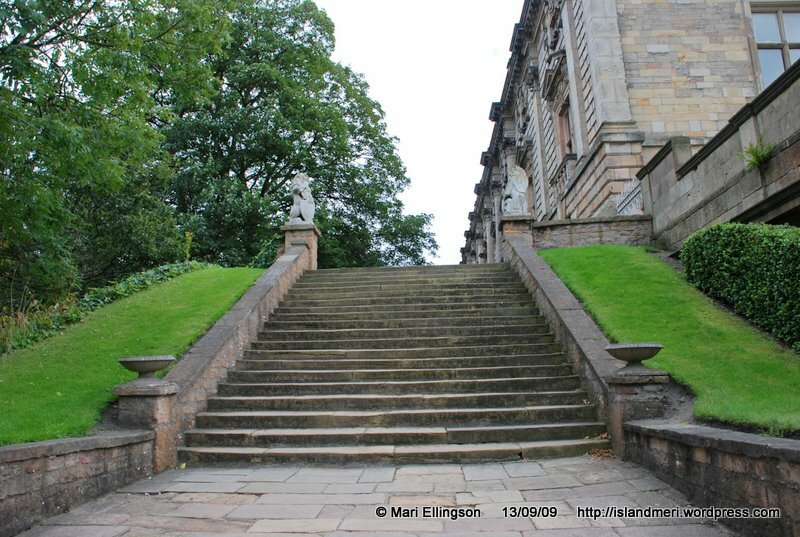 1831 – The building is attacked and looted by rioters following the Duke of Newcastle’s opposition to parliamentary reform. The Ducal Palace is gutted internally when arsonists vent their anger at the Duke. As a silent rebuke to the people of Nottingham the Duke leaves the ruined building un-repaired for 45 years. 1875 – Thomas Chambers Hine, a local architect, is appointed to adapt the Castle into a building suitable for use as a museum and art gallery. 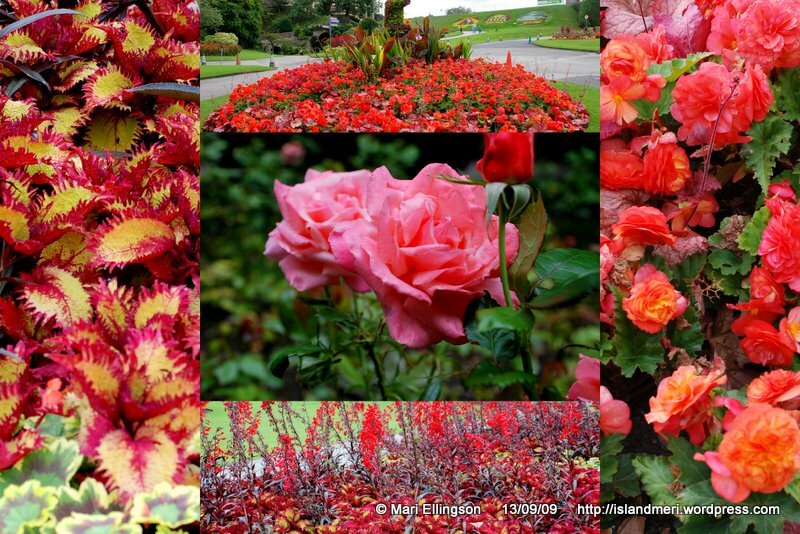 Some of the flowers in the Castle grounds. I do believe that there is a lot to learn from the UK about the restoration and upkeep of historic buildings. They are part of the history of a country – negative or positive, big or small etc. These historic buildings can make a huge contribution to tourism in a country by attracting special interest, and the usual run-of-the-mill visitors. 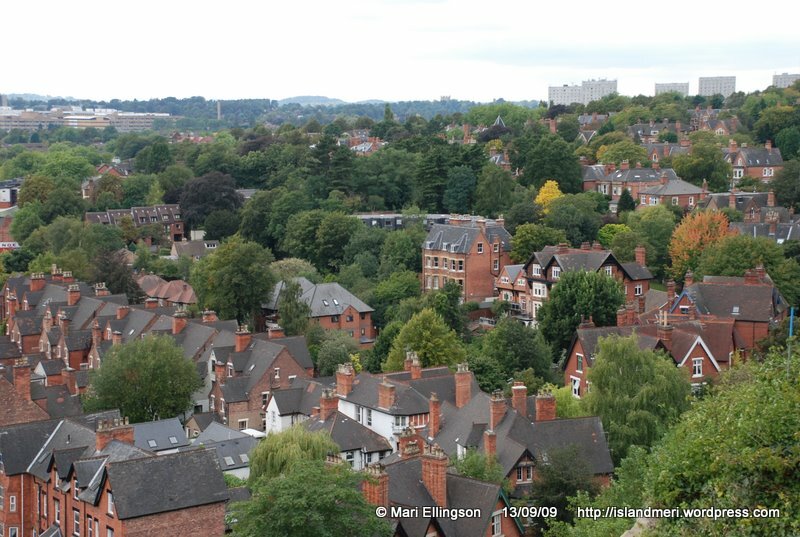 My visit to Nottingham had turned into a great journey of discovery after all. Here are some favourite shots from various vantage points around the Castle. What a great Sunday afternoon it turned out to be. …but alas found a locked door that for me was no good!” (ME130909). Above the, The Tales of Robin Hood museum was this sign ”Medieval Banquet’. It was sorry-looking and I wondered whether the sign was for real which meant they held medieval banquets or were they just going through the motions for the tourist traffic however big and lucrative that may have been. But since the museum was closed I wondered why? 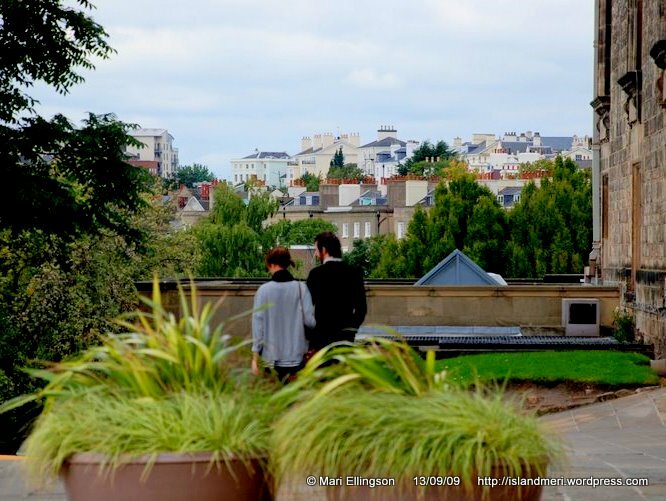 – did it do well as a tourist attraction? Mmmm…so many questions why this place was closed. Why? why? why?…. I hope it opens again soon. I am still determined to visit again but I definitely will find out if it is open before I plan my next visit. So let’s go back to the real reason I braved time and traffic to get to Nottingham. I was determined to find something about him – anything that will satisfy my curiosity and make one of my dreams come true. ...so disappointed it closed down before I visited Nottingham. Why, am I so keen on this guy? This Robin Hood. When I was growing up on Kwato Island (Kwato Mission) in the Milne Bay Province, PNG, we used to listen to stories of heroes and heroines in history…English history that is – those were colonial times and in the 60s mind you! 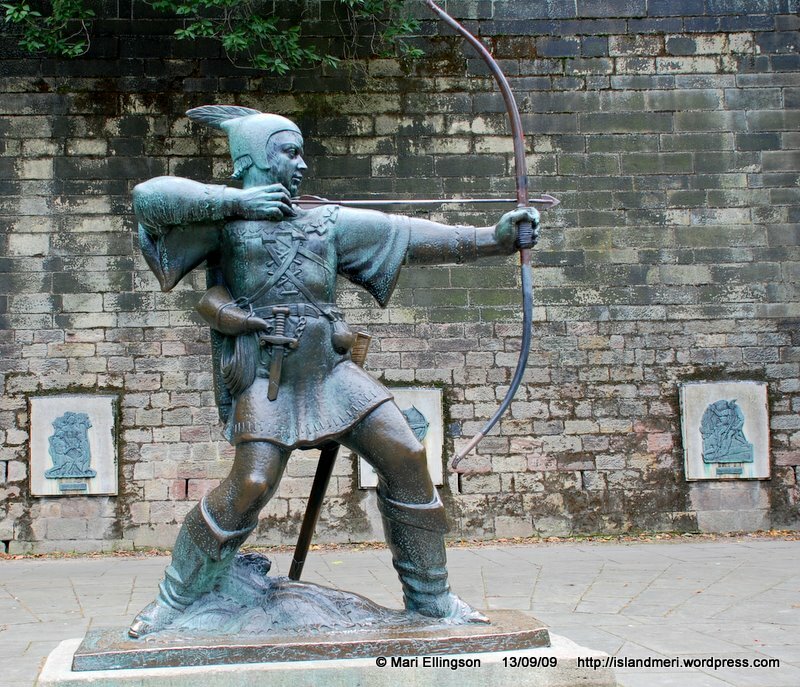 Anyway, one of my favourite English stories or legends was about Robin Hood and Nottingham Forest. I don’t know how many times and how many movie versions I’ve seen. But each time I saw a movie about the life or part of the life of Robin Hood I imagined how one day I could be in England and what privilege it would be to travel to where this hero or villain, whichever your perspective is, lived. 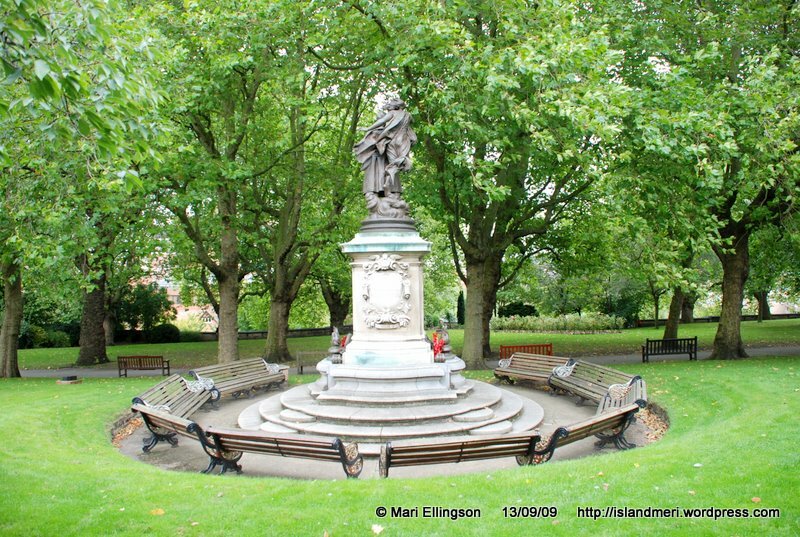 Now I am in England and the opportunity came up a couple of months ago to visit Northampton which I realised was a stone’s throw away from Nottingham and so I decided to visit Nottingham. Just imagine I was going to ‘Robin Hood country’ – a swinging prospect! 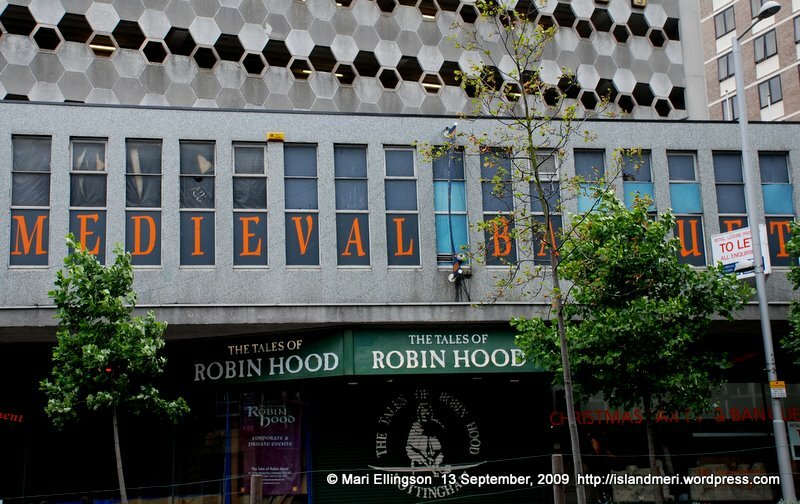 I heard that there was a museum dedicated to Robin Hood in Nottingham not far from Nottingham Castle and the city centre. Well, how absolutely disappointed I was when finally I stood in front of this museum – closed and locked up! I was devastated. I was so looking forward to visiting the museum. 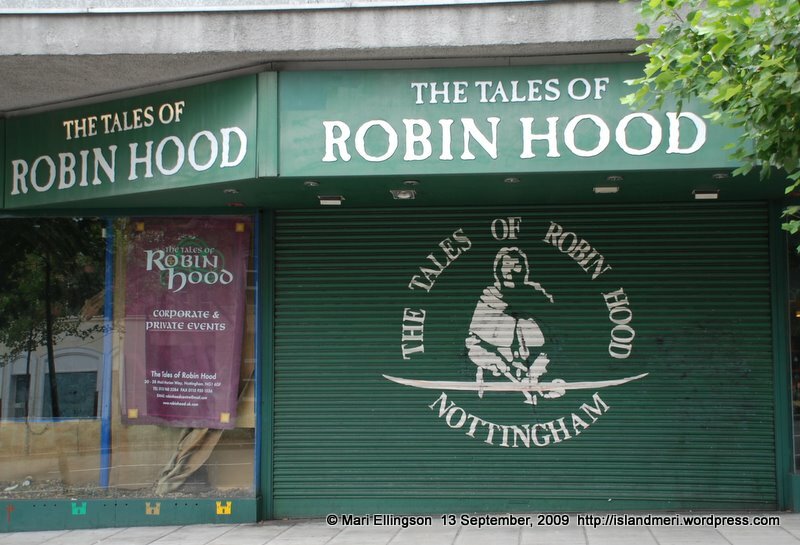 But never one to be totally put off by this, a small hiccup, I ventured off to find something that would remind me of my visit to Nottingham especially as I’ve hung out in Robin Hood country. In Marion's attire...for kids and for the kids at heart. 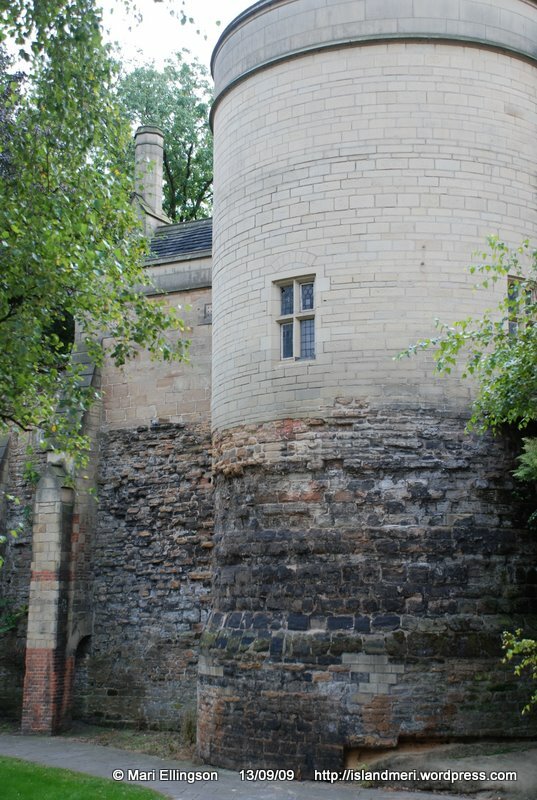 Well, another big surprise, I did not know there was a castle in Nottingham! It was there in my face! Wow…this was a great bonus! 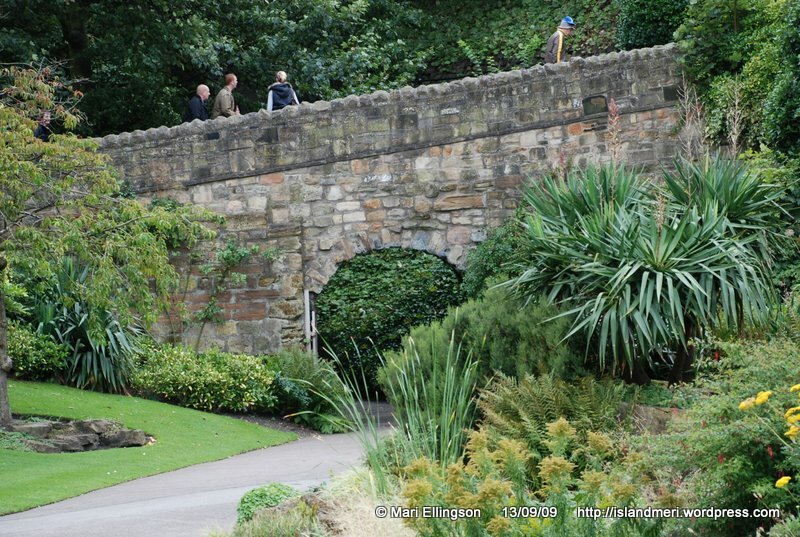 Anyway, I asked someone who worked at Nottingham Castle if there was something on Robin Hood inside the castle itself. She said there was but just a small display for kids yeah, and those kids at heart too…hahaha. Another disappointment because I was hoping that if the Robin Hood museum was closed surely they’d have had to move the stuff somewhere and perhaps the castle was the place – uhuh…nothing like that at all. Anyway I got into the spirit of the display, took a photo of my face in the carved out wooden model of Marion and headed off on a self-conducted tour of Nottingham Castle. 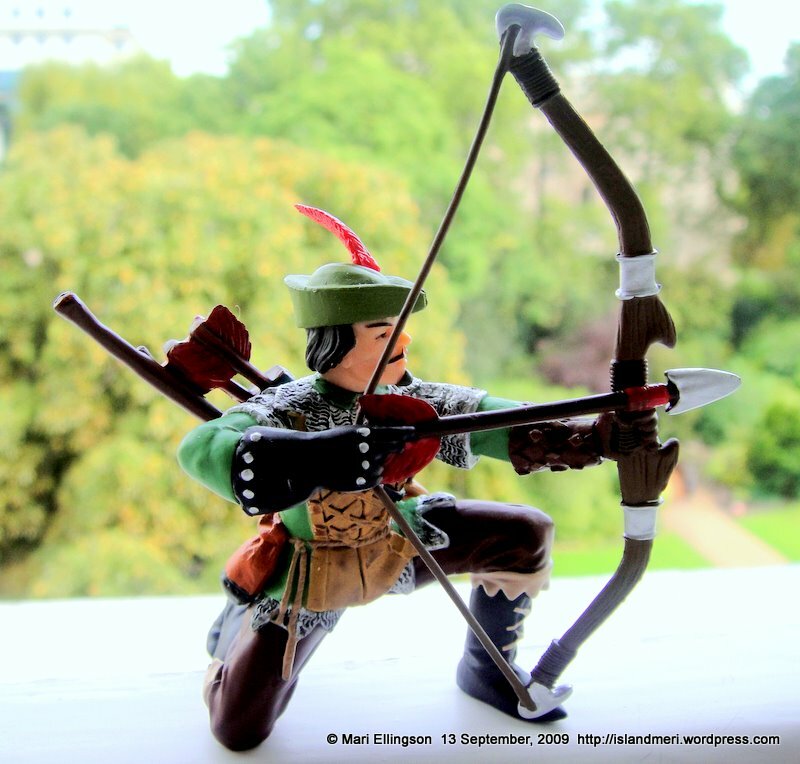 At the end of my tour, imagine my great joy and relief to find the souvenir shop and a Robin Hood toy figure. Well, that was something! Although small and plastic-ky, it felt good in my hand. I felt so grateful. Thank goodness for souvenir shops! I found Robin Hood! – and now he takes pride of place under my computer monitor on my desk at the office. At least I got something from Nottingham to remind me of having been in ‘Robin Hood country’. It has become one of my prized possessions. Takes pride of place on my desk. Some days when I kinda focus on my little Robin Hood figure, I conjure up in my mind pictures of this hero or outlaw on his faithful horse in Nottingham Forest annoying the hell out of the Sheriff of Nottingham and at the same time being in love with Marion – I think those pictures in my mind are scenes from movies I’ve seen. My two favourite movies of Robin Hood are ‘Robin and Marion’ starring Sean Connery and Audrey Hepburn and ‘Prince of Thieves’ starring Kevin Costner as Robin Hood and Mary Elizabeth Mastrantonio as Marion. 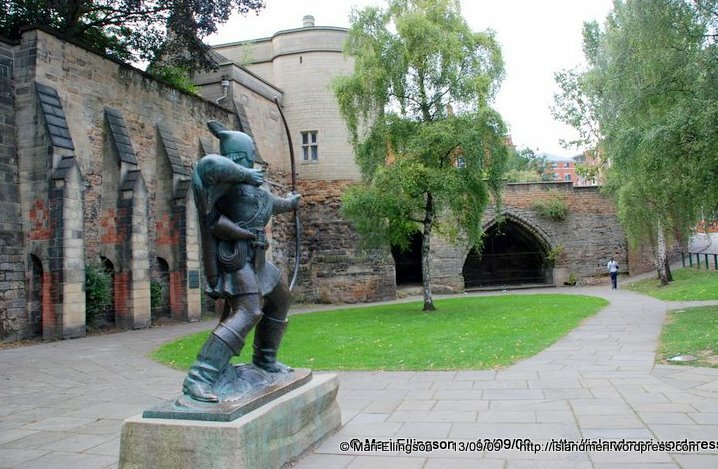 As we walked out of the main gate/entrance to Nottingham Castle I chanced to look down at the courtyard – and there immortalised in a metal sculpture is the recognisable figure of Robin Hood – ever to stay in my memory! I realised that all through my wokabaut through the castle and castle grounds I was actually unconsciously looking to see if there was something more at the castle than the little display area of Robin Hood. And there it was a metal sculpture. At that moment of discovery, I didn’t feel so bad about the The Tales of Robin Hood museum being closed. It would have been nice if it were open but…there’s always a next time. As I left the courtyard of the castle, I was still wondering whether Robin Hood was the figment of some creative imagination or whether he was a real character in history. I also wondered why if he was an outlaw in his day did his story become such a famous story so much so that I in a faraway land have heard of it. Did he actually exist? Could I confidently say, and sorry this may sound like a cliché, it’s anyone’s guess? I think the picture that I conjure up in my mind so vividly, and this is sort of supported by my two favourite Robin Hood movies, is an outlaw with his bow and arrows, a crack shot too and in love with the beautiful Marion – well, as far as the story goes. With my photos and my souvenirs, including a ‘hoodie’ jumper, my trip to Nottingham was not in vain after all. Sculpture of an outlaw...or was he?